FOR A FRESH & ODOR FREE ENVIRONMENT: Between litter boxes and dog beds, our four-legged friends can leave our homes smelling less than fresh, maybe even a little smelly. Our pet odor eliminator candle is made with an odor neutralizer and specially formulated to freshen pet-loving homes. It effectively removes the unpleasant smells and unwanted odors leaving your home smelling clean and fresh. WELCOMING FRAGRANCE: Enriched with our proprietary blend of essential oils and high-quality fragrances, our scented candle comes in a variety of wonderful fragrances that pet families are sure to love. It provides a rich aroma that is effective, welcoming, yet never overpowering. 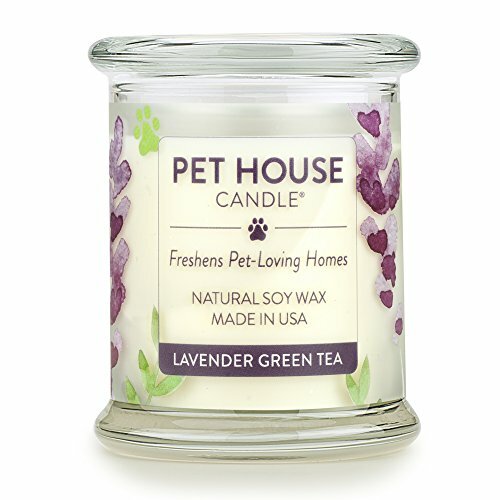 ECO-FRIENDLY: Pet House Candles are made using 100% natural soy wax, a renewable resource. It also features a 100% cotton wick. Our pet-friendly candle is completely paraffin-free and dye-free, so it burns cleaner than most candles. It also offers a burn time of up to 60-70 hours for safe and long-lasting use. MADE IN USA: One Fur All Pet Products maintain the highest quality standards. All of our products are proudly made in the USA without dyes or toxic ingredients. All of our pet odor neutralizing products contain the leading odor neutralizer to create the freshest environment. If you have any questions about this product by One Fur All, contact us by completing and submitting the form below. If you are looking for a specif part number, please include it with your message.